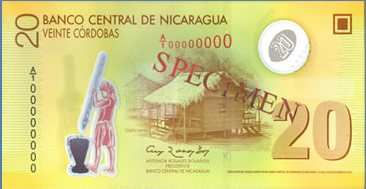 The currency of Nicaragua is the córdoba, which is named after the country's founder Francisco Hernández de Córdoba. Available in both coins and paper bills, it has had many re-issues since the first córdoba was circulated in 1912. Coins are available in three different types: copper-plated steel coins of 5 centavos, brass-plated steel coins for 10 and 25 centavos as well as 10 córdobas, and nickel-clad steel coins in 50 centavos and both 1 and 5 córdobas. The colorful paper bills are available in denominations of 10, 20, 50, 100, and 500. These numbers are relatively low compared to their neighbor Costa Rica, whose currency fluctuation has caused them to issue 10,000 colón bills. Based on the Nicaraguan exchange rates, it is safe to say that one U.S. dollar equals an average of 20 córdobas. In my experience, this is the best way to estimate what things will cost and how much you might be getting a fair or unfair exchange rate. 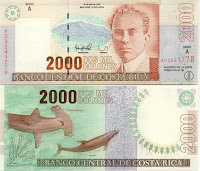 The 2002-series bills are known only by their colors and whose face is being honored. 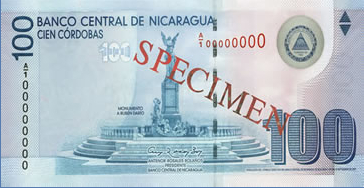 Two examples are the 100-córdoba bill (seen above) that includes the face of Nicaragua’s beloved poet-son, Rubén Darío, and the 500-córdoba bill, which includes José Dolores Estrada Vado, a national hero known for defeating William Walker’s filibuster army in 1856. In 2009, a new series of paper bills was issued. Made out of a stronger polymer instead of paper, they are available in the same denominations except for two special additions: the 200-córdoba bill and the commemorative 50-córdoba bill, which is printed vertically instead of horizontally. In my opinion, the older series bills are much more interesting but like any change, it takes some getting used to. Each Central American country has their own set of rules about this activity, but currency exchange on the street in Nicaragua is something to be very careful about. You will see two types of money-changers: one who is waving a wad of cash on the street and wearing an official identification badge, and the ones who aren’t wearing them. For those wearing the badges, they are officially allowed to exchange money and they are both convenient and trustworthy. I have on many occasions stopped to exchange money with them and it is a quick and pleasant experience. The unofficial money-changers tend to hover on street corners and near the busy bus stations. Their exchange rates are terrible and depending on the location, you might even risk getting stopped by the police afterwards for doing the transaction in the first place! Finally, although it is extremely convenient, avoid exchanging money at the currency exchange kiosks in the international airline terminals back home. In the U.S., the currency exchange booths tend to have the worst rates no matter if you are in the Dallas, Houston, Atlanta, or New York airports. You will (on average) receive about 20-percent less than the fair exchange rate. Fortunately, you will find many ATMs in the busier cities that use both the Cirrus and PLUS network in Nicaragua. This should take care of anyone with a MasterCard or VISA debit card. ATMs are one of the best ways to get cash and the machines give you a choice of denominations (U.S. dollars or Nicaraguan córdobas). There is usually a 3% fee applied to any amount withdrawn in addition to the bank fee for using an ATM not owned by your bank. The positive side is that you will get the latest exchange rate and feel secure knowing that it is a fair deal. A word of warning about using ATMs: always use common sense when withdrawing large sums of money. Much like an ATM in a large city back home, always check your surroundings. You could be a possible target for trouble. Credit cards are accepted in a majority of larger businesses throughout metropolitan areas but many smaller and family-run businesses do not accept credit cards at all. In general, try to keep a decent amount of cash readily available. At the Airport: When arriving at the airport in Managua, you have the choice of carrying your own bags at baggage claim or getting a skycap to carry them for you. If you choose to have assistance, handlers should receive no less than US$1 per bag with no more than US$ 2 per bag for large, heavy items. In fact, U.S. dollars are always welcome and expected at the airport since many travelers have not had a chance to exchange their currency. At the Hotel: No matter what type of hotel, someone will always attempt to take your luggage to the room, even if it is small as a backpack. For anyone handling luggage, there is no set rule, but try to follow the same criteria from the airport: No less than US$1 or 20 córdobas per bag. Always give more especially for large, heavy pieces of luggage and for anyone looking like they are really going out of their way for you. At the Restaurant: Many restaurants in Nicaragua generally add a 10-percent service charge to the bill. But this can vary depending on the type of restaurant and the time of day. In my experience, some restaurants add a service charge only for large parties or any bill in the evening while other restaurants don’t do it at all. So just be aware when you get the bill. If a service charge is included in the bill, tipping is not expected and very few people do it, if any. But like I always say, if you want to leave some more just ask yourself some questions: Did you stay two hours longer than the meal? Are you taking up one of only five tables in the restaurant? Did your waiter go above and beyond for service at your table? Then by all means add some more! If it is NOT included in the bill, then tipping is definitely expected. Again I have still noticed that some customers don’t tip at all. But try to always leave at least 10 percent with higher amounts if the person deserves it. Car Parking: As I have mentioned in other posts, there is no differentiation about this aspect of parking your car from one country to another in Central America. No matter where you go, there will always be someone willing to "watch your car" as you go into any area that is not a large shopping center or mall. Despite their eagerness, I am still unsure if they will actually watch your car at all. But at least it gives you the peace of mind, especially at a fritanga, which is an outdoor Nicaraguan restaurant usually tucked away in some neighborhood. Tipping these faithful "valets" is highly expected and the amounts should always be at least 10 córdobas for those who simply watch your car or just stand near it. I tend to give more especially if they look like they care. Others go as far as stopping traffic when you arrive and leave and sometimes there is a small team of young men ready to actually wash the car! In these instances, the more the better (especially when you have a rental) and these guys really seem to appreciate the money no matter how small. 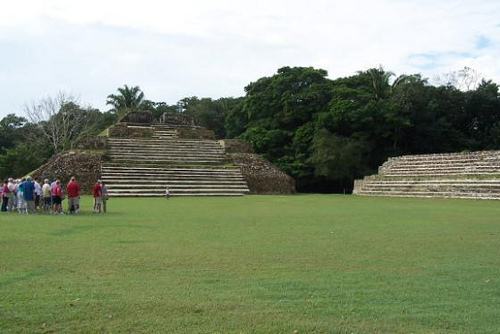 Located approximately 30 miles north of Belize City in Belize, are the ancient Mayan ruins of Altun Ha. 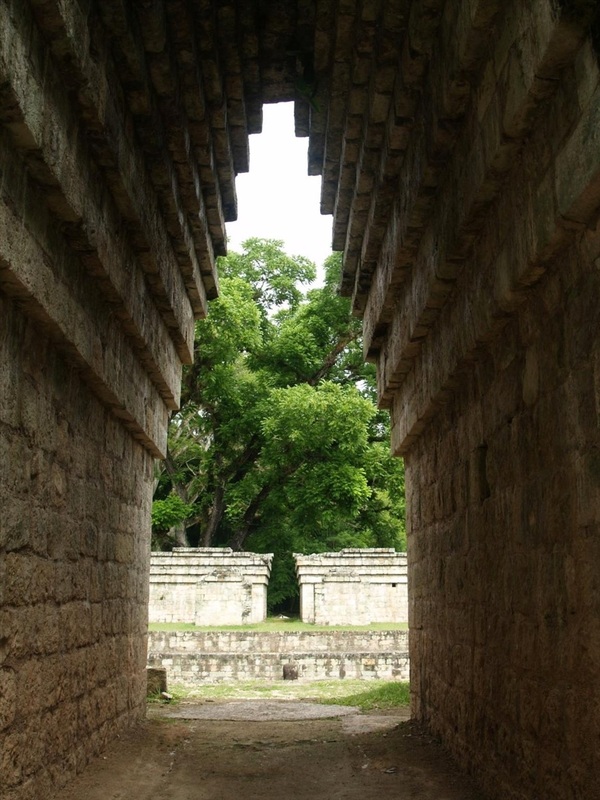 Although many seasoned travelers state that the Caracol Mayan ruins are much more impressive, Altun Ha is equally as memorable. Best of all, getting to these ruins are much easier than other sites where visitors are escorted with armed guards for their protection. Due to this accessibility, this five-square-mile location has become a very popular excursion for passengers on the major cruise lines that stop in Belize City. A word of advice: when in Belize City, make sure to note if there are ships docked at the port and plan accordingly. Otherwise, you might just be walking the grounds with five busloads of tourists. Getting to the ruins is relatively easy especially if you have access to a car. Just take the Northern Highway north from Belize City to mile marker 19 where you will turn right on the Old Northern Highway and drive approximately 10 miles to the well-marked entrance to Altun Ha on the left side of the road. This two-mile entrance road will take you directly to the visitor center. Make sure to use one of the local guides at the visitor center. They are not only affordable (around US$10 per person) and knowledgeable but it is your way of giving back to the local economy since they actually live in the area near the ruins. Tours: If you choose to be driven instead, I recommend two reputable tour companies that are based in Belize City: The Experience Belize Tours (www.experiencebelizetours.com) and the Caribbean Shore Tours (www.caribbeanshoretours.com). Both companies provide round-trip transportation and can also arrange private excursions for family or group members as well. The Caribbean Shore Tours actually limits the numbers within each tour group to only 14 people for a more personal and enjoyable experience. 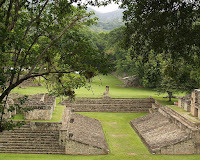 Archaeologists believe that Altun Ha was first settled around 200 BC, with the bulk of the 500 structures built during the Mayan Classic period between A.D. 200 and 900. At its peak, the area was home to more than 10,000 Mayans and it served as a major trading and religious ceremonial center. The site was not discovered by archaeologists until 1963, when a pilot and an amateur Mayan enthusiast flew over the area and noticed the ancient remains hidden within the jungle. The site consists of two central plazas: Plaza A and Plaza B.
Plaza A - Located near the entrance to the site, this plaza is enclosed on each of its four sides by eight large temples. 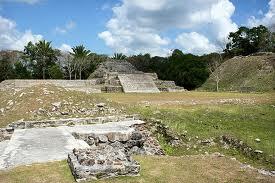 But unlike most Mayan centers, there are no carved monuments, or stelae in front of these structures. The reason for their absence is unclear, but it may be that the stela art did not extend to regions on the fringes of the Mayan area. Seven different funeral chambers were eventually discovered in this area including one special tomb beneath one of the temples. 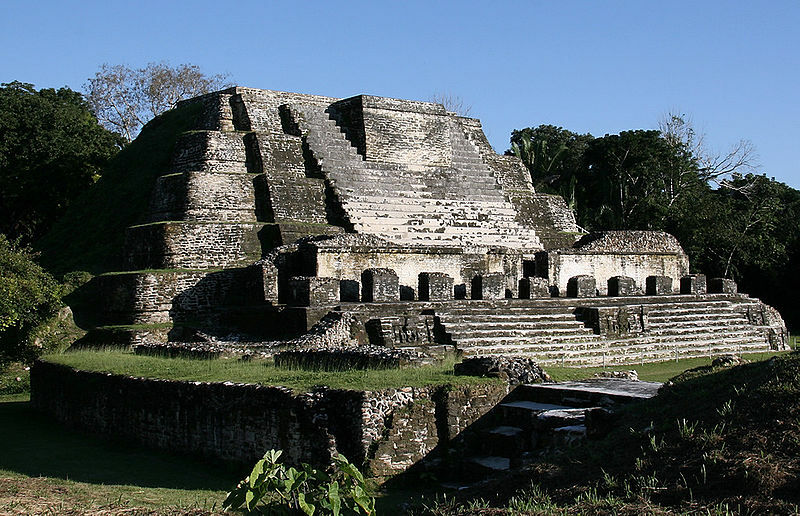 Known as The Temple of the Green Tomb, this special tomb dates back to A.D. 550 and it included more than 300 special artifacts such as jade, jewelry, pearls, skins, shells and even the remains of a Mayan book. Scholars believe that this tomb included the body of someone of great importance. Plaza B - Located adjacent to Plaza A, it includes the largest temple on the site, which is the 54-foot The Temple of Masonry Altar (seen in the photo at the top of this post). After several important discoveries of artifacts within the temple, most scholars believe that it once served as the primary site for the city’s religious activities. A single stairway leads to the top of the temple where an altar sits at its peak. It brings to mind a scene where a sacrifice is made to the Gods and you can imagine the amount of fear, intimidation and celebration that occurred during those ceremonies. 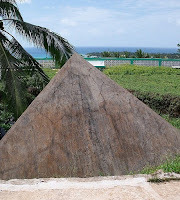 This pyramid is also used as the symbol for the country's most famous beer: Belikin. Rockstone Pond - Located just outside of the two plazas, a short trail leads directly to Rockstone Pond, which is also known as the Reservoir. According to my guide, this work of ingenuity began as a large hole that was eventually lined with limestone cement. After the water was diverted from a nearby stream, it served as the primary source of fresh water for the city. Although archaeologists debate whether the reservoir was built either before the temples or after, one thing is for sure: this reservoir is an example of how brilliant engineering skills were used well before modern technology. But like many of its Mayan counterparts, the city fell into decline and was consumed by the surrounding jungle beginning in A.D. 1000. The Jade Head - In addition to the archaeological discoveries that included the bodies of several Altun Ha high priests, a major piece was discovered an extensive excavation between 1965 and 1970. Led by Dr. David Pendergast of the Royal Ontario Museum, a 10-pound, 15-centimeter high, jade head was discovered. Depicting the Mayan Sun God, Kinich Ahau, it is the largest jade item in the world and it is considered one of the country’s national treasures. The jade head has become so important that its image is actually printed on the country’s 10-dollar bill (seen in the top-left corner). 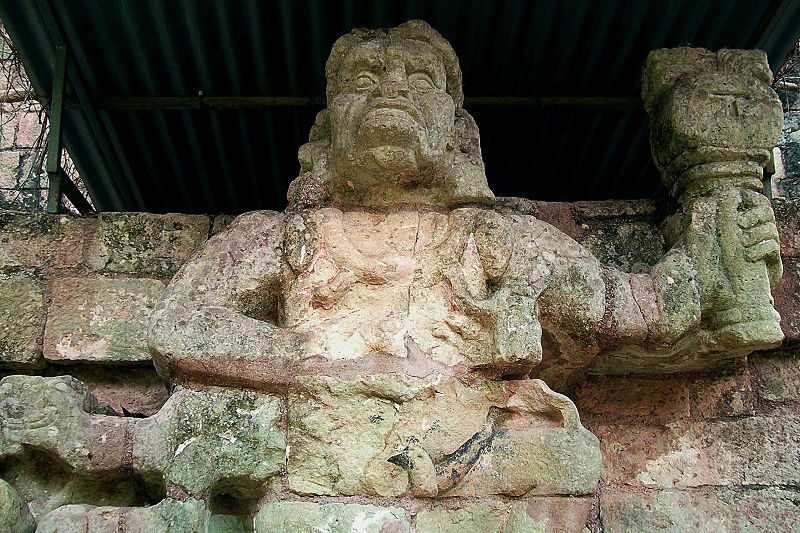 Unfortunately, for visitors of Altun Ha, the actual jade head is kept under the watchful eyes of security within a solid-steel vault in the Central Bank of Belize. 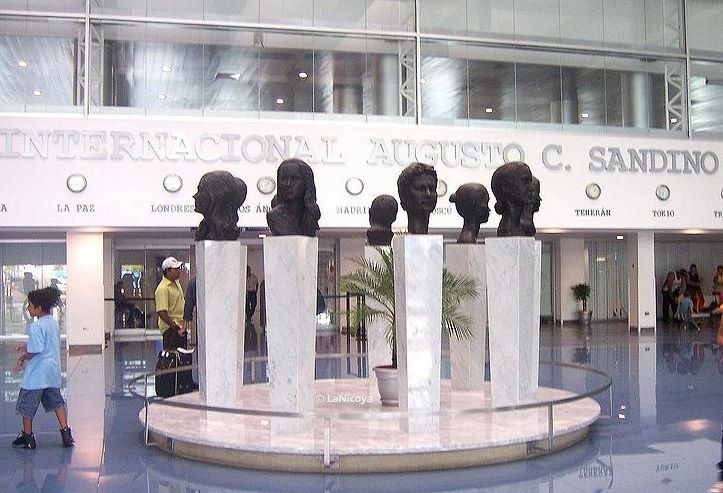 All international flights into the country arrive at the Managua International Airport, also known as the Augusto Sandino International Airport. When entering customs at the airport, all foreigners are required to pay a US$10 entry fee, which was increased from US$5 in July 2010. This fee is only accepted in cash in either U.S. dollars or Nicaraguan córdobas and exact change is expected. After payment, a tourist card is offered in addition to the passport stamp. In regard to passports, all visitors to Nicaragua must have a passport that is valid for a minimum of six months after the date of entry. Citizens of the United States, Canada and the European Union are automatically given a tourist card that is good for up to a 90-day stay. Travelers from the following countries are required to have a visa to enter the country: Afghanistan, Albania, Angola, Armenia, Bosnia and Herzegovina, China, Cuba, Ecuador, Ghana, Haiti, Iraq, Jordan, Lebanon, Liberia, Mali, Mozambique, Nepal, Nigeria, North Korea, Pakistan, the Palestinian National Authority, Romania, Sierra Leone, Somalia, Sri Lanka, Sudan, Syria, Vietnam, and Yemen. If you wish to stay longer than the 90-day allowance, extensions can be requested (but not always granted) at the Office of Immigration in Managua. These extensions are valid for only one month at a time and cost US$25. To avoid the additional monthly costs as well as the overall hassle, my suggestion is to cross the border into either Honduras or Costa Rica and return after 72 hours. This way, you will receive a new stamp for another 90-day stay and a fresh start. After you leave the baggage claim area, head toward the exit and try to walk with a purpose. I say this because there is an attendant standing there who can stop anyone just to check your bags. This has only happened to me once and it was during my first time when I appeared somewhat aimless. If you are stopped, don’t worry, you won’t be sent back with a one-way ticket. The attendant will just check any bag in question and then you will be on your way. Taxis: If you have a hotel shuttle or regional transportation shuttle reserved, then you will be all set because most drivers will be standing there waiting for you at the exit. For those who plan to stay in the city of Managua at a hotel without a shuttle, there are plenty of taxis available just outside of the airport doors. Always make sure to ride a taxi that has a red-bordered license plate, since these are the country’s officially registered taxis. If you choose a taxi without this type of designation, you put yourself at possible risk since there have been stories of unofficial taxis taking visitors away to unknown locations in order to rob and assault them. If your flight arrives too late and there is no choice but to stay overnight, there is the Best Western hotel conveniently located right across the street. Just be careful when crossing the street because the highway is wide and the drivers race by at incredible speeds! Climate: Like other Central American countries, the climate is primarily tropical. It switches between two overall seasons: winter and summer, otherwise known as "dry" and "rainy." The weather during the dry months of November to April can be especially hot in the lowlands near the Pacific. The rainy season occurs between May and October and it certainly lives up to its name due to the daily downpours. Actually, the rains are especially welcome when the heat becomes stifling. The best month during the dry season is December, which is perfectly timed to welcome the majority of the country’s tourists during the holiday season. Overall, the general rule to remember is that the lowlands on the Pacific side are hot, the highlands are cool, and the lowlands on the Caribbean side are steamy. The eastern Caribbean coast generally includes the highest temperatures and overall humidity. In fact, the average temperature in that area is approximately 90-degrees F.
Currency: The currency in Nicaragua is known as the córdoba, which is named after the founder of the country, Francisco Hernández de Córdoba. The U.S. dollar is generally accepted everywhere, but be prepared to receive córdobas in change, which is actually a convenient way to get more currency without going to the bank. In many large department stores, you will see prices quoted in U.S. dollars. The exchange rate does vary but in general, one dollar equals approximately 20 córdobas (for easy calculation). Also factor in that the sales tax is 15 percent. Safety: Based on my conversations with those interested in traveling to Nicaragua, one of the "myths" about the country is whether it is safe. Although the violence occurred back in the 1980s, some people still believe that the fighting is still going on. On the contrary, there is nothing but a country peacefully trying to grow and move on. Like other Central American countries, it is attempting to capitalize on tourism (which it should) and move forward as a peaceful nation. Yes, there are pockets of crime much like the larger cities back home, but it is minimal. You just have to have common sense when traveling and just know where you want to go before you leave. Never travel aimlessly down unknown streets or questionable areas and do not differentiate between the congested cities or the small towns in the country, because the same rule should apply at all times. 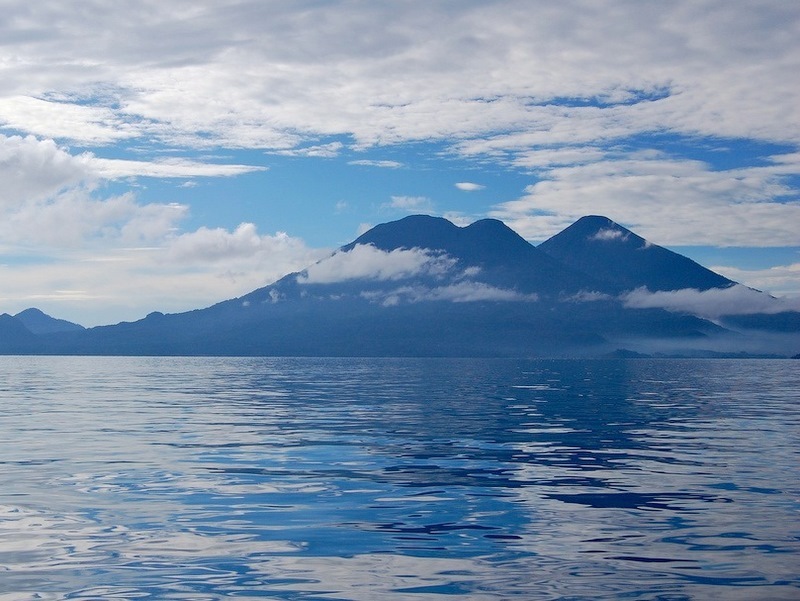 Once you arrive at Lago de Atitlán, the view almost takes your breath away. 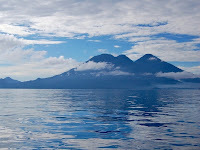 The calm morning waters reflect the blue skies and the landscape includes not one but THREE gigantic volcanoes, which are all fortunately dormant. This beautiful location has been compared to other lakes such as the gorgeous Lake Como in Italy but just with the added benefit of having volcanoes in the surroundings. For anyone visiting the country of Guatemala, it should definitely be seen. Located approximately 90 miles west of Guatemala City, this lake is situated in the cool Guatemalan Highlands. Considered one of the deepest in Central America, it was formed more than 80,000 years ago after water filled an enormous caldera that covered an area of 50 square miles. As a reminder of more dramatic times in the region, three volcanoes sit quietly on its southern side: San Pedro at 9,920 feet, Tolimán at 10,361 feet, and the Atitlán, which is 11,598 feet. Getting to Panajachel: Although there are other towns around the lake, I did what most people do and traveled to the town of Panajachel. If you choose to drive there, just go west from Guatemala City on the CA-1 (the Pan-American Highway) past the town of Chimaltenango. Once you go past Los Encuentros, veer left toward the road to Sololá and Panajachel. The drive takes about two-and-a-half hours. For those in the historic city of Antigua, there are convenient door-to-door shuttles from Antigua direct to Panajachel through two reputable companies: Turansa (www.turansa.com) and Antigua Tours (www.antiguatours.net). For the adventurous on a small budget, there are also "chicken buses" that leave from Guatemala City approximately every hour for about US$3. For your first experience of the lake, make the town of Panajachel (located at the one-o’clock position on the lake) your home base. Then the rest of your time can be spent exploring the town itself or traveling by boat to any of the other lakeside communities. What makes the area special is that each town is completely different from one another with a unique charm based on their own Mayan culture, history, and belief system. Everyone I know who has visited the lake has their favorite town based only on their feelings after being there. For your favorite location, you will just have to find out for yourself. In my experience, the lake is one of those locations that you end up unexpectedly staying longer than planned. Ferries: The passenger ferries in Pana are located at the dock on Calle Rancho Grande. They make at least eight daily departures across the lake to Santiago Atitlán, one of the largest communities. If you want to explore the other towns in between there are plenty of smaller boats (known as lanchas) that are ready and willing to go. Some have schedules while others function as collective water taxis that depart only when the boat is filled. These are also more affordable than taking a private boat, which you always have the choice to do. Prices are generally around Q5, which is around 65 cents. So be careful when they try to ask you (the obvious foreigner) for outrageous amounts such as Q200 for a trip! ﻿﻿Orientation: Once you arrive in "Pana," you will immediately realize that it is surprisingly small and you can walk just about anywhere in less than 10 minutes. In addition to the lake, most of the action is centered around its main commercial street: the Calle Santander. Many restaurants, bars and shops are located on this strip and it leads right into the Calle Principal, which is the road that takes you out of the town. 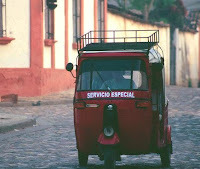 If you prefer to be driven around, there are always the tuk-tuks, which are Indian-made, three-wheeled motorized taxis seen throughout Guatemala. They circle the streets at all hours of the day and the ride is usually around Q5 for anywhere in town. Tourism is the primary source of the town’s revenue. You see it in everything from the groups of travelers arriving by ferry, the restaurants that each face the water, and the streets lined with vendors selling everything from fabrics and jewelry to paintings of the landscape. As far as vendors, they are all ready to bargain, so be prepared to do so if you care. Dining: If you get hungry, there are many restaurants in this relatively small location. I recommend El Patio located in Plaza Los Patio on Calle Santander. Any restaurant that locals enjoy eating at is always a good place to try. The restaurant is known for its version of the Guatemala dish Pepián, which is traditionally made with chicken or turkey (sometimes pork or beef), rice, and a fleshy green vegetable known as güisquil. 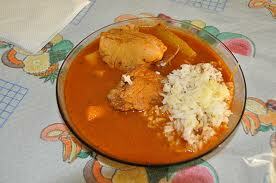 The ingredients are smothered in a sauce made from tomatoes, sesame and squash seeds, cinnamon, and chile. For me, the sauce is the best part, and don't worry about manners because you can use your warm tortillas to wipe up the remaining sauce. Accommodations: There are also many choices when it comes to finding a good overnight accommodation. It all depends on your budget and whether you prefer a room with a lake view or an in-room bath. A recommended hotel is the Grand Hotel Panajachel (www.grandcorporacionhotelera.com) located on Calle Principal. 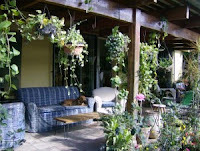 It provides cute, comfortable guest rooms with nightly rates that start at US$50. The property also includes a quiet garden, a swimming pool, and a decent restaurant. Another great place is Jenna's River Bed and Breakfast. It is located just a half block from the lake and it offers charming guest rooms, a beautiful garden terrace (seen in the photo to the left), and a choice of either a freshly prepared full Guatemalan or English breakfast. For reservations, go to their website at www.jennasriverbedandbreakfast.com. Reserva Natural Atitlán: Before taking that boat trip away from town, make sure to visit the Reserva Natural Atitlán (www.atitlanreserva.com) located in the Valley of San Buenaventura. This nature reserve is a short 10-minute walk from Pana and if you take a tuk-tuk, you can get there in about three minutes. Its major attractions include a visitor center that explains everything about the natural history and ecology of the lake, great trails with a 75-foot waterfall, several suspension bridges, a butterfly preserve with approximately 300 butterflies native to Guatemala, enclosures with monkeys and other wildlife, and a private beach. 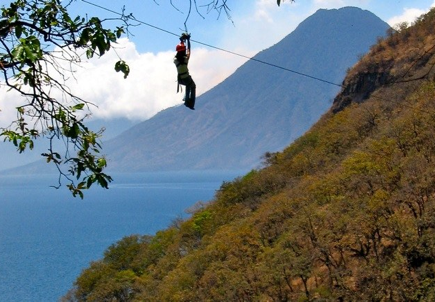 There is also the Cables X-Tremos, which is a series of eight ziplines that range from 295 to 1,050 feet in length offering spectacular views of the lake. The tour lasts about two hours. 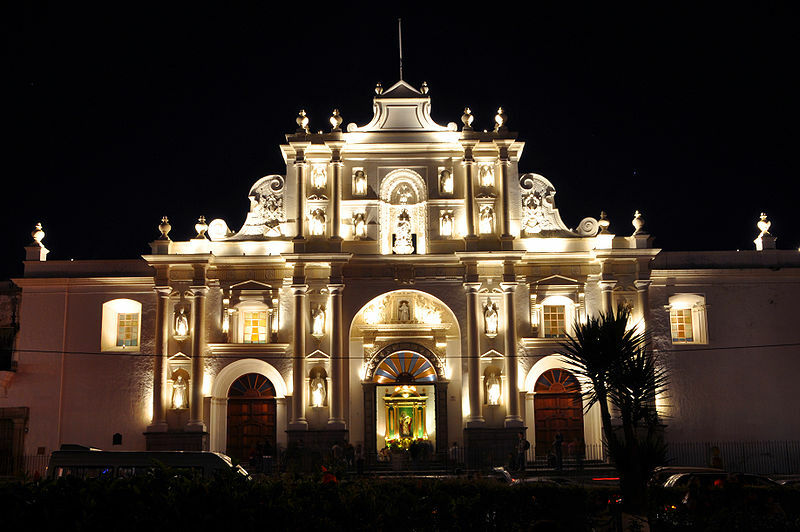 Located approximately 30 miles west of Guatemala City in Guatemala is Antigua. This historic city was once the bustling capital and one of the grandest cities in Central America until it was nearly reduced to rubble by not one but two large earthquakes in the 1700s. After the second one in 1773, the government ordered that the capital be moved to the "safer" location of Guatemala City. I say "safer" because Guatemala City has actually had more earthquakes than Antigua with strong ones in 1902, 1917, 1918, and 1976, which was a 7.5-magnitude one that killed and injured approximately 25,000 people. Today, the city includes cobblestone streets, a number of incredible ruins, and spectacular surroundings complete with a stratovolcano sitting on its horizon. 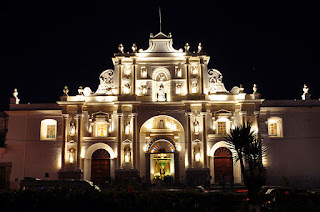 It is no surprise why Antigua has become one of the top tourist destinations in Guatemala. 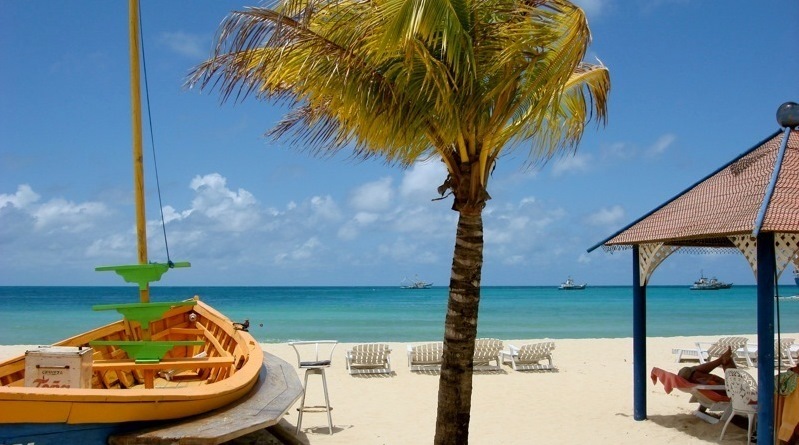 First of all, there is no airport or train station in the city of Antigua, so do not make the mistake of booking a flight to Antigua (with the airport code of ANU) because you will end up on an island in the Caribbean Sea. Anyway, the nearest airport is located in Guatemala City, which is called the Aeropuerto Internacional La Aurora (The Aurora International Airport). The drive from the airport can take anywhere between 45 minutes to one hour depending on traffic out of congested Guatemala City. Since driving to Antigua is the only option, my suggestions of getting to Antigua are in three different categories: rental car, shuttles, and public transportation, affectionately known as the "chicken bus." 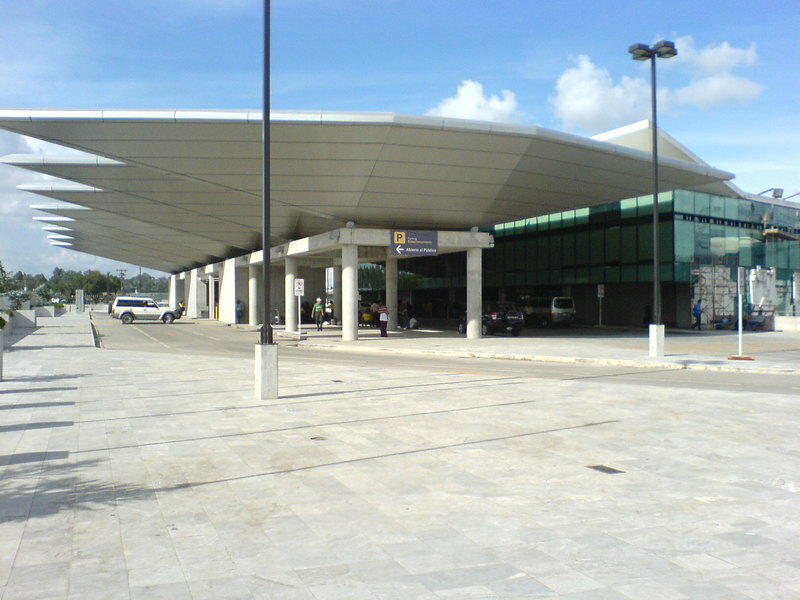 Rental Cars: For those who prefer renting a car, La Aurora International Airport in Guatemala City is the best option. You have a choice of many rental agencies with familiar names such as Avis, Budget, Dollar, Hertz, Payless and Thrifty with the two exceptions being Holiday Autos and Sixt, which are more familiar to European travelers. The rental rates are surprisingly low but be prepared to drop a substantial deposit for overall coverage. Afterwards, head west of Guatemala City on the Calzada Roosevelt, which turns into the familiar Pan-American Highway, also known as the CA-1. Follow all signs marked "Antigua" and turn off the highway at San Lucas Sacatepéquez and head south toward Antigua. It is pretty straightforward and best of all, the roads are nicely paved! Shuttles or Taxis: Taxis regularly run between La Aurora International Airport and Antigua but be prepared to pay approximately US$30 depending on exchange rate. Considering that it could cost much more than that to get to the airport back home, it is a reasonable deal. Use common sense when selecting a taxi and never use private drivers that offer their services. One of the most convenient and affordable ways to travel to Antigua is by shuttle van. Several shuttle companies run directly from the airport to Antigua and cost only around $US10. 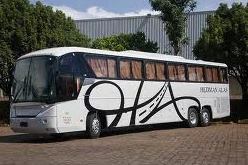 I would recommend either the Turansa Company (www.turansa.com) that has been in business since 1988 or Adrenalina (www.adrenalinatours.com), which provides door-to-door shuttle service. Yes, as their name suggests, they also provide a variety of high-energy, guided tours of the country. "Chicken Bus" Transportation: If you traveled anywhere in Central America, then you have definitely seen this type of public transportation. Known as the "chicken bus" (because of the livestock that locals sometimes carry on board), it is a retired yellow school bus from the United States that has been lovingly repainted in bright colors. Traveling this way is the cheapest way to travel but this affordability comes at a cost because they are normally crowded, hot, noisy, and a haven for pickpockets. But this is such an important part of the culture, that everyone must try it at least once when traveling in Central America. 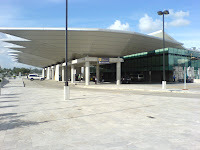 When taking the bus from La Aurora airport, you can walk to a bus stop located outside of the airport parking lot. Several friends of mine have noticed that the government can sometimes prevent buses from stopping at the airport and require them to pick up passengers about a quarter-mile away. If this happens, then either take the walk or take the shuttle. Otherwise, keep an eye out for the bus with the name of the destination on the front and be aware since there are no posted or announced schedules. Once the bus arrives, just hop on if you are traveling light. If you have luggage, then hand it to the attendant who will throw it up on top of the bus. As the journey continues, the attendant will eventually come down the aisle to collect the fare, which is only around US$2. Remember that this mode of transportation is only for those who really want to immerse themselves into the culture. So if you feel uncertain, or believe that safety might be a concern, then by all means take a shuttle for that extra peace of mind. The currency of Costa Rica is the colón. Named after Cristóbal Colón, better known as Christopher Columbus to English speakers, it is available in both coins and paper bills. Coins are available in two different types: nickel-alloy coins of 1, 5, 10 and 20 colónes and yellow-tinted alloy coins in denominations of 5, 10, 25, 50, 100, and 500. The paper bills are available in denominations of 1000, 2000, 5000, and 10,000. These numbers appear extremely high but like many foreign countries, Costa Rica’s currency can fluctuate, especially against the U.S. dollar. After checking the average exchange rate for the past few years, the rate was 540 to the dollar in 2008, 545 in early 2010 and 514 in late 2010. Based on this, it is safe to say that one U.S. dollar equals approximately 500 colónes. In my experience, this is the best way to estimate what things will cost and how much you might be getting a fair or unfair exchange rate. The rest of the higher bills are affectionately given nicknames, much like how Americans call the $100 bill a "Benjamin." 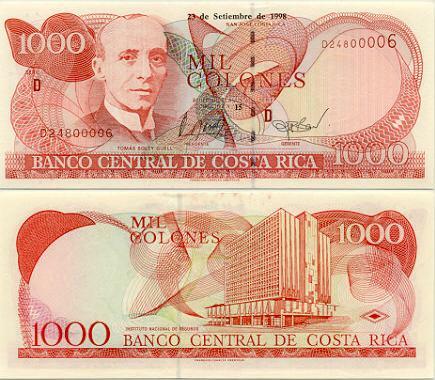 The 1000-colón bill is known as "un rojo" (one red) because of its red color. Higher amounts are simplified such as the 5000-colón bill, which is called "cinco rojos." It is also called tucán because of its image of a toucan. The 10,000-colón bill is known as the "Emma Gamboa" that refers to the image of the country’s well-known teacher. Each Central American country has their own set of rules about this activity, but currency exchange on the street is illegal. To make things worse, the majority of money-changers are out to cheat every client and sometimes go as far as handing out wads of counterfeit bills. 5000-colón bills are popular fakes on the street as well as $100 U.S. bills. 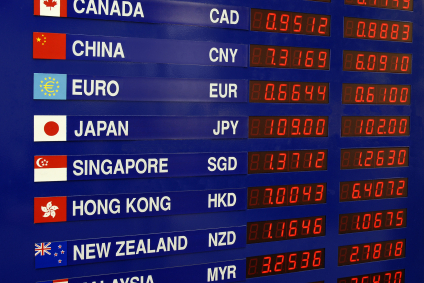 One of the safest ways to exchange money is at a bank or at the hotel that offers currency exchange. These locations usually provide a reasonable rate. Although it is convenient, avoid exchanging money at the currency exchange kiosks in the international airline terminals back home. In the U.S., the currency exchange booths tend to have the worst rates whether you are at the Dallas, Houston, Atlanta, or New York airports. You will on average receive about 20-percent less than the fair rate. Finally, if you do plan to bring dollars to exchange, keep the denominations no larger than $50. According to the Costa Rica Tourism Agency, "There is some paranoia about counterfeiters and many stores won’t take anything over a $20 bill if they accept dollars at all." Fortunately, you will find ATMs that use both the Cirrus and PLUS network in Costa Rica. Generally, a fee of 3% is applied to any amount withdrawn in addition to the usual bank fee for using an ATM not owned by your bank. But you will get the latest exchange rate and feel pretty secure knowing that it is fair as well as convenient. A word of warning about using ATMs: use common sense when withdrawing large sums of money. Much like an ATM in an unknown neighborhood in New York City, always check out your surroundings. You could be watched and become a magnet for possible trouble. Credit cards are accepted in a majority of larger businesses throughout metropolitan areas but many smaller and family-run businesses do not accept credit cards at all. At the Airport: After arriving at the airport and clearing customs, you have the choice of carrying your own bags or getting a skycap to help you out. If you choose to have assistance, handlers should receive no less than 50 cents per bag with no more than US$ 1. In fact, U.S. dollars are always welcome and expected since many travelers have not had a chance to exchange their currency. At the Hotel: No matter what type of accommodation you stay at, someone will always try to take your luggage to the room, even if it is just the backpack on your back. For anyone handling my luggage, I follow the same criteria from the airport: No less than 50 cents per bag. At the Restaurant: Restaurants in Costa Rica generally add a 10-percent service charge to the bill. Tipping past this amount is not expected and very few people do it, if any. But if you want to leave some more, just use some common sense. Did you stay two hours longer than the meal to chat with a friend? Did your waiter go above and beyond for service at your table? Did you ask the waiter to hand-pluck the chicken you ordered for your meal? Then by all means add some more! Car Parking: No matter where you go with a car in Central America, there will always be someone eager and willing to "watch your car." I say this with "quotes" because I am never terribly sure if they actually watch your car at all or (in rare circumstances) guard your car with their life. Tipping them is highly expected and it could range anywhere between 200 colónes to as high as 500, depending on how much they have done. Some simply watch your car by just standing near it while others go as far as stopping traffic when you arrive and leave. In some cases, a team of people watch you car and even wash it. Either way, it does give you some peace of mind, (especially when you have a rental) and these guys probably need the money much more than you do. The Copán Ruins, also known as the Ruinas de Copán, is located in western Honduras approximately seven miles from the Guatemalan border. 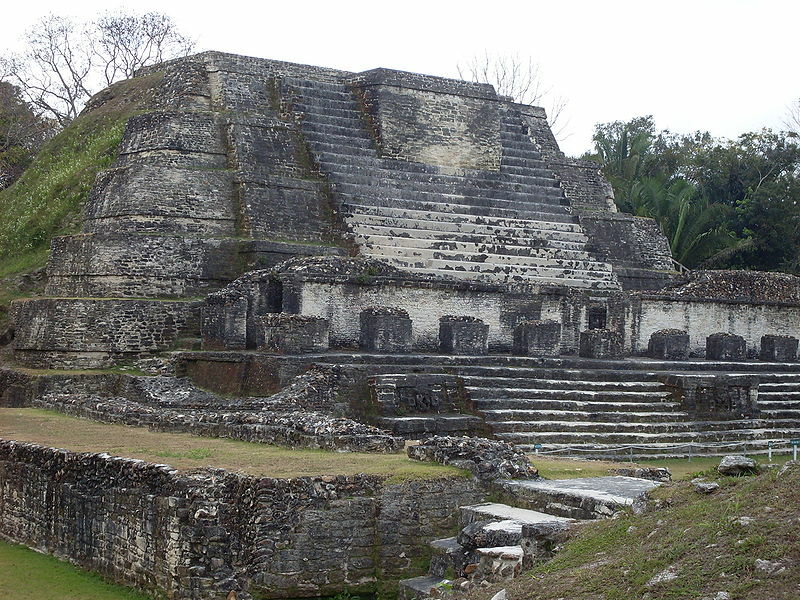 Dating back to A.D. 400, it was once a thriving city that served as the southwestern hub of Mayan territory. Today, its preserved portion encompasses a fairly large area even though it represents only a small fraction of its original size. But it still includes decorative stone temples and plazas with some of the finest detailed sculptures in the world. Discoveries are still being made by archaeologists at an average rate of one per month. The San Pedro Sula International Airport is one of the most convenient places to purchase a tour package for the Copán Ruins. 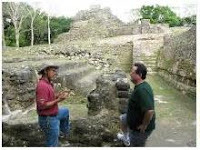 There are several tour operators that not only offer round-trip transportation to the ruins but bilingual guides as well. Since I usually prefer to avoid the group tours and explore specific locations on my own, I booked a ticket on the Hedman Alas bus line that provides service from San Pedro Sula to the town of Copán Ruinas. The three-hour ride departs twice a day from both the main bus station in San Pedro Sula as well as the San Pedro Sula Airport. Very convenient! More information can be found at their website: www.hedmanalas.com. As my bus from San Pedro Sula pulled into the charming town of Copán Ruinas, I quickly noticed that this location was just like many other locations in Central America. 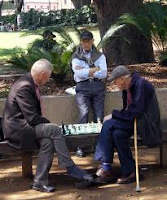 There were children dressed in their blue and white school uniforms kicking a soccer ball in the street and old men quietly played chess in the main square. Since it was early evening, their actions were under the watchful (or bored) eyes of the armed security guard sitting in a chair across the street. My eyes are always drawn toward the large shot gun carried by these "security guards" and wonder how gun-control laws are doing in that specific region. Anyway, I am sure that back in the time before mass tourism entered the area, the town was probably much quieter and maybe a bit safer. But now, it can become quite crowded especially with the average of 85,000 tourists who visit the famous nearby ruins each year. After a good night's rest and a great breakfast of plato típico (a dish of rice and beans, eggs, meat and plantains), I headed up to the ruins. Even though the site is a 20-minute walk from the center of town, I decided to splurge and take a moto-taxi that took me up there in just minutes. The moto-taxis are quick, relatively safe, and affordable with fees of L$10 in town and L$20 up to the ruins. Once at the site, the visitor center is the best place to hire a guide who will enthusiastically explain every detail along the way. The tours are arranged in groups of 10 people and can last anywhere between two and four hours. 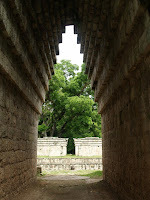 With my interest in history, I had always heard that the Copán Ruins were abandoned due to mysterious reasons. This of course, always fuels the conspiracy theories that include alien abduction or the same reasons that make Easter Island (off the coast of South America) unique. As the tour went along, it was acknowledged that for years, many scholars wondered why the Mayans abandoned the site around A.D. 900 and acknowledged that they had great difficulty trying to decipher the number of Mayan hieroglyphs. But after all of the theories (conspiracy or scientific), my guide clearly explained how recent studies of skeletons suggested that the city just simply became too crowded. I thought, "That’s it??!" By A.D. 800, the city had overflowed to approximately 25,000 people, which devastated all of the resources. To make things worse, there were also droughts that destroyed the vital crops in the area. Within one century, the city was completed abandoned as its residents left in search of more sustainable terrain. Then it sat quietly for over a millennium until excavations began in 1975. With each excavation, the former grand city was slowly revealed and a national treasure was reborn. In 1980, the site was added to the list of UNESCO World Heritage sites. According to the Parque Arqueológico Ruinas de Copán, the site includes more than 4,500 structures with most of the focus placed on the "Principal Group," which was built between A.D. 400 and 800 and covers an area of approximately two square miles. The entrance fee is US$15 and it includes admission to all of the ruins and the following five major areas. The Great Plaza: This massive plaza is well known for its large number of stelae (tree stones) that honor each of the city's rulers. One of the most decorative is "18 Rabbit," who was the 13th ruler. The sculpture depicts the ruler with his decorative head dress and an intimidating scepter with a two-headed snake. The area also includes a ball court, which is the second largest in Central America. An archway (seen to the right) leads directly to the ball court. You can just imagine the players running through this archway to the cheers of the crowds. But according to my guide, the winners were praised with feasts and songs while the losers usually lost their lives. Acropolis: This area includes the eastern court and the mysterious western court, which was built as a "gateway to the underworld." For me, it was a bit eerie to walk around the ancient structure. At times, the only sounds were coming from the wind and the birds. Temple 16 was built on top of the previous temple (Rosalila Temple) without damaging the remains. You can climb to the top of Temple 16 for a great view of the original river bed and the overall layout of the city from the 100-foot vantage point. 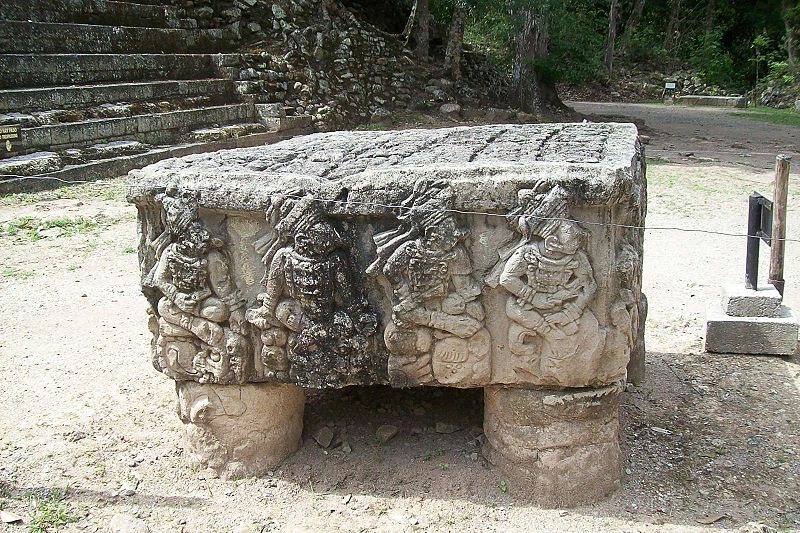 Located at the base of Temple 16 is the reproduction of Altar Q (seen in the photo to the left) that shows the succession of Copán's 16 celebrated rulers. The original is preserved in the museum. Hieroglyphic Stairway: Located on Temple 26, this spectacular stairway consists of 63 stone steps that depict the historic battles won by the region’s former kings. It also includes thousands of hieroglyphs, which makes it one of the largest collections in the world. It is still being studied by archaeologists and a large canopy helps to protect this precious location from the elements. Let’s hope that a future earthquake does not topple this important location. 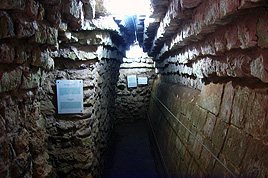 The Tunnels: Located underneath the Acropolis are approximately three miles of tunnels with two that are open to the public: The Rosalila Tunnel that includes the remains of the temple of the same name and the Lost Jaguares Tunnel, which travels by a fascinating system of aqueducts, tombs, and former baths. As stated by my guide, "They were digging a tunnel under Temple 16 and to their surprise, there it was." Although an extra fee of US$15 is charged to enter the tunnels, it is well worth it. 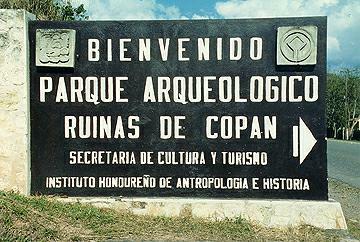 Copán Sculpture Museum: For an extra US$7, you can visit the museum that includes many sculptures (and replicas) from the site. I especially enjoyed the entrance that resembled a snakes mouth. According to the museum director, "The snake represents a journey into the underworld and the winding, stone-lined tunnel that leads directly into the hillside giving you the impression that you are being swallowed up." 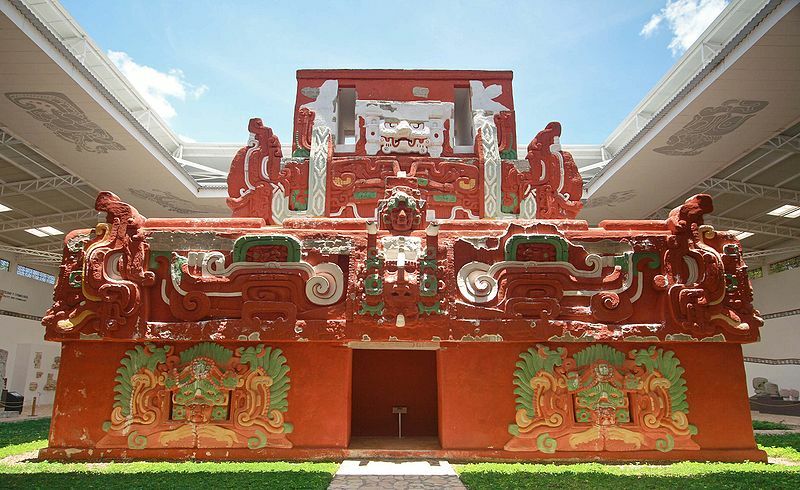 The museum's most notable attraction is the full-size replica of the Rosalila Temple, complete with the bright red colors and ornate designs that once made this temple a structure to be admired. Located to the left of the entrance is the original Altar Q, the prized square stone depicting the rulers of the former city. The museum is a wonderful and memorable end for any visitor to this historic location. When it comes to Caribbean islands, most tourists probably picture destinations such as Jamaica, the Bahamas, or the Virgin Islands. But located off the coast of Nicaragua in the Caribbean Sea are a pair of islands that are still relatively untouched by the need for luxury resorts and busy cruise-ship ports. It is surprising since another set of islands called the Bay Islands are located just a few hours north, off the coast of Honduras. Those islands include Roatán, which does have busy cruise-ship ports as well as direct flights from Houston, Miami, and even Milan! 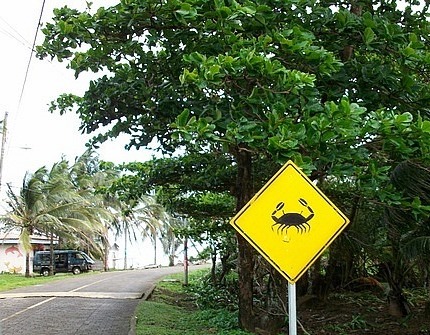 Hopefully, these Nicaraguan islands will not elect to participate in that level of tourism. 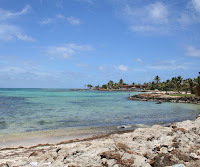 The Corn Islands, or more appropriately known as Las Islas del Maíz, consist of Big Corn Island, which covers an area of only 2.3 square miles and the 1.5-square-mile Little Corn Island. The pair are located approximately 50 miles northeast of the city of Bluefields on the eastern coast of Nicaragua. 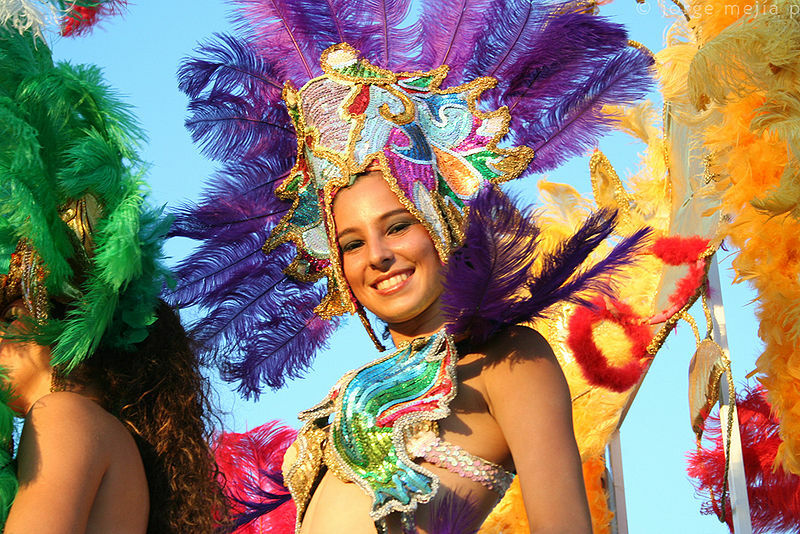 Unlike most of the Spanish colonial towns on the mainland, the Corn Islands includes characteristics more associated with the typical Caribbean islands such as turquoise-blue waters, sugar-white sands, coconut palm trees, and reggae music wafting in the air. For me, the islands are a wonderful escape from the busy world and a place where anyone can truly feel like a "castaway." The past of the Corn Islands sounds like something out of a pirate legend. Due to the isolated location of these islands, they once served as frequent stopping points for both British and French pirates as well as roving buccaneers in search of treasure. In fact, several known shipwrecks are scattered just off its shores, which are now popular diving areas. After some research, I discovered that since the late 19th century, the governments of both Nicaragua and the United States had claimed the Corn Islands as their territories and the islands bounced between the two countries for approximately one hundred years. With the expiration of the latest arrangement, the islands are now officially part of Nicaragua. 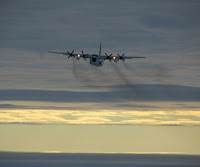 But to quell the drug traffic in the more isolated regions of the islands, the U. S. Coast Guard still keeps a watchful eye (as seen in the photo above). After the British departed from the region in the 18th century, many of the former African slaves (who the British had brought to both the island and the coast of Nicaragua) remained. Their culture, infused into the local lifestyle, can be seen in everything from the local traditions, music, food, and dance. Even the names make you smile with locations such as Sally Peaches and Coconut Point. In fact, after my arrival to the island, the friendly driver of my taxi had a last name of Morgan, which brought to mind a possible connection to some British or pirate descendant. The taxi fare was only C$15, which is less than US$1. Getting to Big Corn Island: There are two methods of transportation to the islands: by plane and by boat. 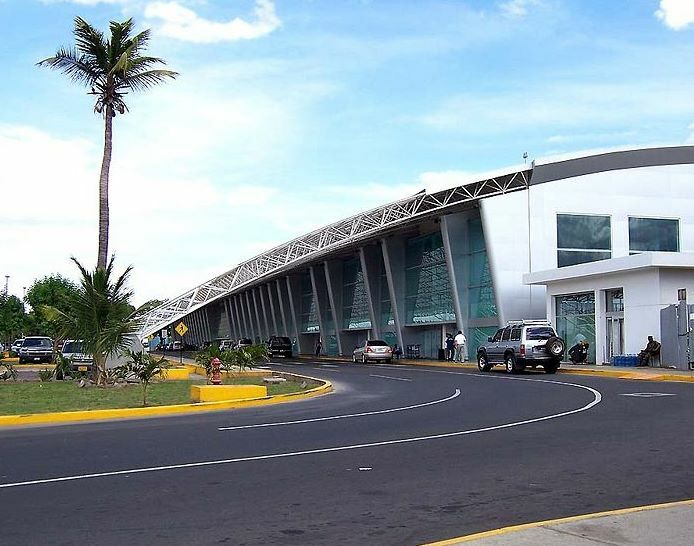 For those who have more funds set aside for air travel (approximately US$175), there are two daily flights that depart from the Augusto Sandino International Airport in Managua on two different airlines: Atlantic Airlines and La Costeña Airlines. Both airlines use small, propeller-driven planes that provide a fairly rough ride that lasts about 90 minutes. In my opinion, after I watched one of the La Costeña planes depart Managua, I was glad that I booked a flight on Atlantic Airlines instead. In my opinion, the Atlantic planes appeared to be a bit more modern. I will never forget what the pilot said after landing: "Welcome to La Isla de Corn Island." For those who have less travel funds but more time, there are ferries that depart from Bluefields and arrive at Brig Bay, which is Big Corn Island’s main port. 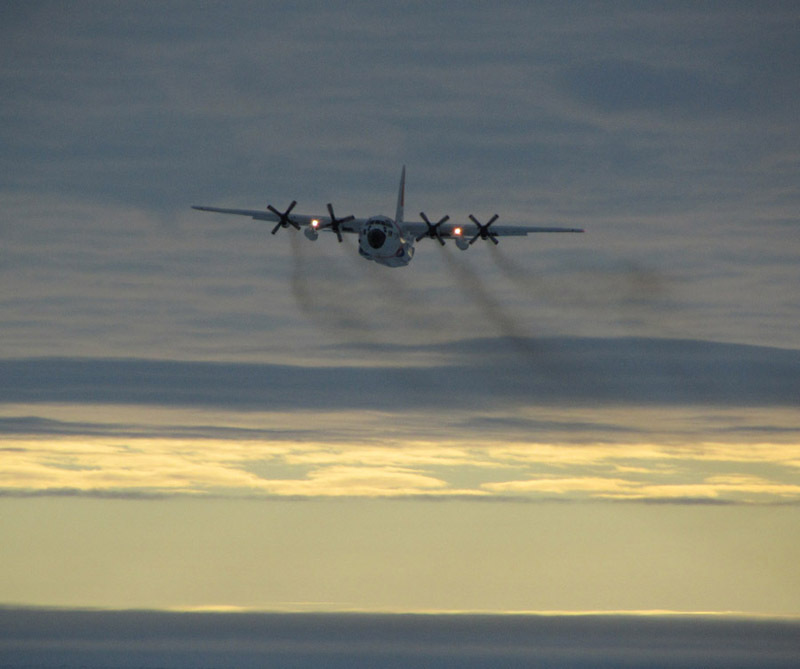 The four- to six-hour trips cost around C$200 and occur approximately three times a week. The schedules vary dramatically due to the choppy seas so always check before planning your trip. My choice is the five-hour Bluefields Express (named the Río Escondido) that departs at 9 a.m. on Wednesdays and makes one stop in Bluff before continuing on to Brig Bay. 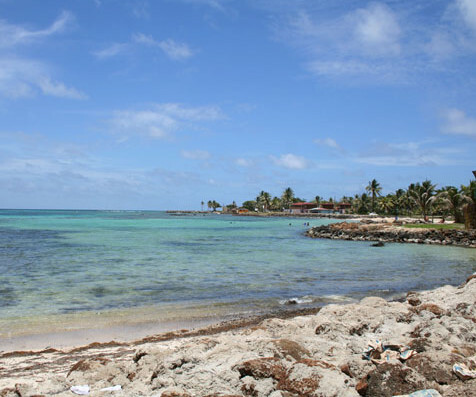 In addition, transportation to Little Corn Island is provided by small boats (called pangas) that leave Brig Bay . The 18-mile journey takes approximately 30 minutes. Getting Around the Island: One of the best aspects about Big Corn Island is its overall size. By way of its 7.5-mile road that circles the island, all of the main attractions can be easily explored on foot. Other modes of transportation include taxis (with set prices of C$15 anywhere on the island during the day and C$20 at night), micro-bus transportation (only C$6), motorcycle rentals (around US$30 a day), and even golf carts! The golf carts in my opinion were a little too Floridian for me. I personally enjoyed watching the micro-bus drive by with the reggae music blaring from its open windows. Beaches and Snorkeling: Southwest Bay is one of the best areas for swimming and it also includes spectacular white-sand beaches that are so secluded that you start to wonder if you have really been stranded on a deserted island. Picnic Beach also gave me the same feeling because I didn’t see a single person. Now this could be either your version of paradise or a place you would run screaming away from in order to return to civilization, find your cell phone, and update your Facebook status. So keep this in mind. As far as snorkeling, you can do it anywhere around the island but some of the best snorkeling spots are located at the northern end. There you will find Anastasia’s on the Sea (www.cornislandresort.com), which is a combination hotel, restaurant, bar, and marine park. This park is especially designed for snorkeling and it provides rentals for masks, snorkels, and fins for as little US$3 per hour with an even better deal of US$10 for the whole day. The whole reef system actually extends as far as Belize! Hiking to Pleasant Hill: I am always one for hiking to any summit of a country and although this 371-foot summit is relatively small, it includes excellent views of the surroundings. Located at the summit is a strange pyramid that couldn’t seem more out of place. It sits there looking like something that was dropped from an alien spaceship long ago and it confuses many visitors. Fascinated by this strange monument, I had to check out its origin. It turned out that it was one piece of an Earth-sized sculpture created by artist Rafael Trénor that represented one of the corners (or vertices) of a global cube. According to The Soul of the World (www.souloftheworld.com), "The vertices of the Cube emerge at eight antipodal points on the surface of the Earth. Each of the vertices will appear in the form of a pyramid having three faces." In other words, place a three-dimensional cube inside the Earth and its points will align to specific locations around the globe. 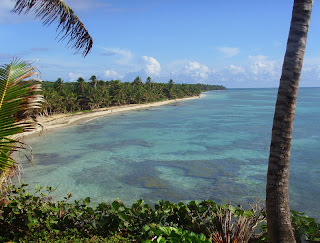 Big Corn Island just happens to be one of the eight corners. Yes, the Truth IS Out There. 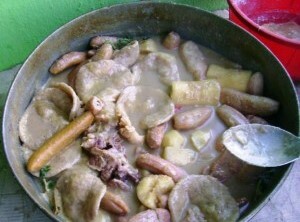 Food: When visiting the island, one of the staples of the local cuisine is Rondón, which is a rich Caribbean-inspired dish that must be enjoyed once before leaving the island. You will have to ask in the restaurants or know some locals, but it is worth the effort. The name originated from the term meaning "Anything the chef can run down" and it consists of yucca, green plantains, dumplings and extra ingredients such as fish, shrimp or lobster all slowly cooked in coconut milk. Yum! Accommodations: Finally, since tourism is still being developed on Big Corn Island, you can still find an overnight stay in a family-run accommodation (or hospedaje) for less than US$10. There are no luxury hotels and crowded tours, and the nightlife is almost non-existent. But that is what makes the island special. The friendly residents seem fascinated by outside visitors and they welcome them with warm smiles. It is one of the best locations in the country that is still untouched by mass tourism and I certainly hope it stays that way.